So for today’s post I thought that I would do another comparison post but this time it’s between Bourjois Paris and Superdrug’sown brand.You guys seem to love these type of posts so I’m defiantly going to be doing more of them!! I personally love doing them because I love reading reviews about product myself but when you’re comparing products it’s even better. This is because you don’t have to waste your money buying both of them instead you can just read these type of posts and purchase only one of them. The first nail product is from Bourjois Paris this one of their newest products and brings a whole new meaning to nail polish remover. When I first opened this at Christmas because it was in my Christmas Stocking I kept looking at it for about a million times. I also kept reading it because it said that it only takes 1 second to remove your nail polish. I thought to myself surly that’s not true because whenever I remove my nail polish it takes a while. Mainly because the fumes give me a headache so I end up removing some of it then leaving the rest until later. I was actually really excited to use this because it looked so interesting and different than all the other nail polish removers that I’d seen. When I opened the lid I saw that there was a small hole in the middle which I’ve marked with a white ring. This is where you put your finger in and then like move it around until all the nail polish comes off. Okay so in reality it didn’t take 1 second more like 30 seconds but it was still a lot quicker than when I normally take. Overall I was really impressed with this product and I’d defiantly purchase it again!! 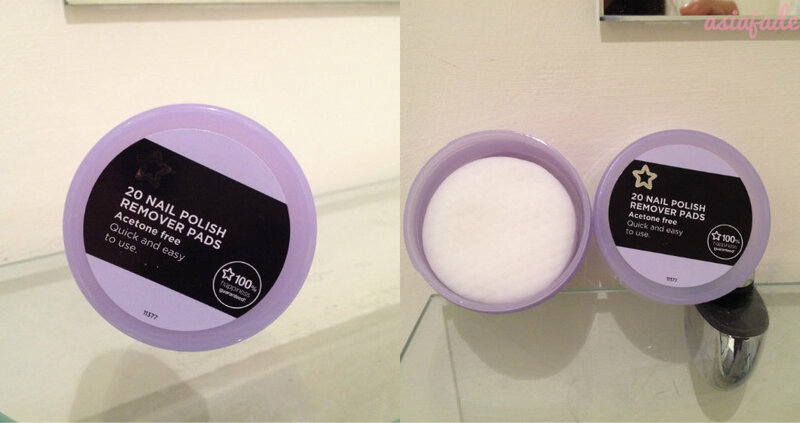 These nail polish remover pads are a prime example as to why cheap products aren’t the best sometimes!! I personally don’t like them at all because for one they smell disgusting and the smell makes me physically sick. The second reason is when you use them they make your fingers the colour of the nail varnish you’re trying to remove therefore not really removing it. The last reason is because once you’ve removed all your nail varnish which takes a while they leave your hands very greasy and disgusting. Each time I used them I had to wash my hands every time I’d finish a finger. 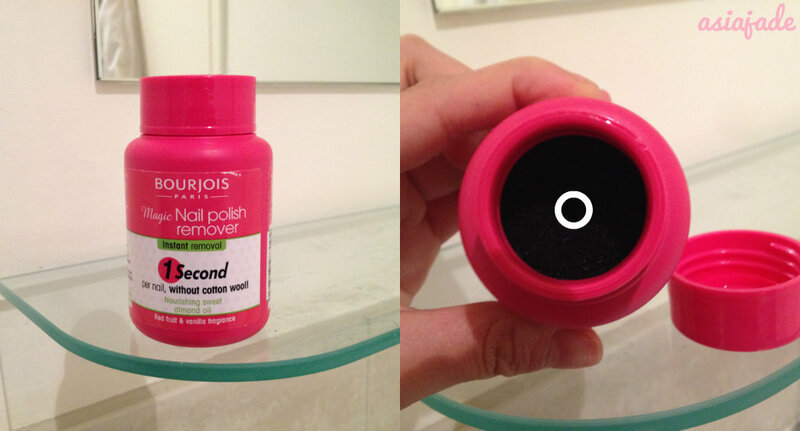 Overall I really didn’t like these nail polish remover pads and I defiantly won’t be re-purchasing them. This is because they’re a really low quality and I know you can find the same product but better quality for around the same price. 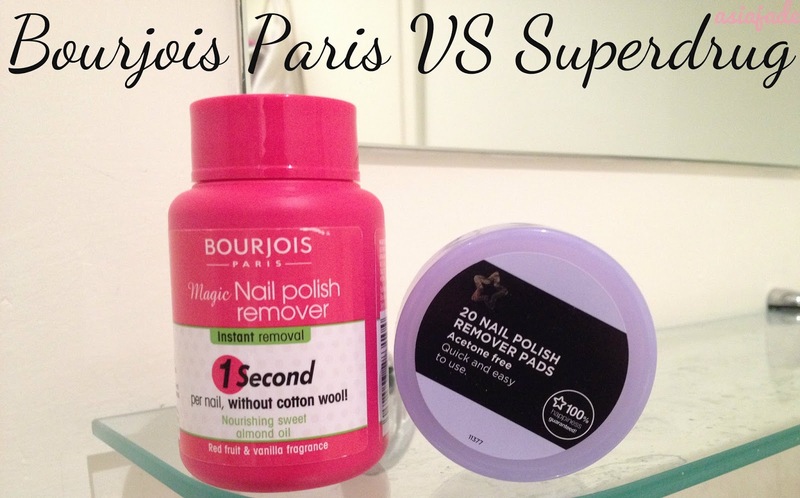 If you haven’t already realised I preferred the Bourjois Paris Magic Nail Polish Remover a million times more than Superdrug’s own brand nail polish remover pads. For me this comparison post was easy because one is a great product and reasonably priced for the quality of it and the other product was horrible and the quality was low. "The Sunday Topic #2 Feeling LOST"